A recent study based on interviews of 80 Cuban entrepreneurs found seemingly contradictory results. With virtual unanimity, the entrepreneurs complained about “the level of state interference” or over-regulations plus high prices for supplies, the absence of a wholesale market and high taxes. The study looked at four segments of the so-called “non-state sector” of the Cuban economy: (1) the self-employed; (2) farmers who use state-owned parcels; (3) corredores (brokers) of home sales as well as buyers and sellers of private homes; and (4) workers of non-farm production and service cooperatives. Another sector–owners of private restaurants known as paladares—was not included because, says Lago, they do not want to attract attention to their business. The study– oces del cambio en el sector no estatal cubano (Voices of Change in the Cuban Non-State Sector)—is published by the Ibero-American publishing house. This study confirms the existence of a thriving non-state sector of the Cuban economy, contrary to the Senate testimony of the new U.S. 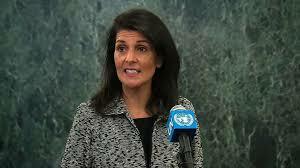 Ambassador to the U.N., Nikki Haley, as mentioned in a recent post. The study also confirms the unsurprising difficulties and challenges the Cuban government faces in creating a mixed economy. Indeed, as covered in an earlier post, Raúl Castro in his role as the leader of the Communist Party of Cuba at its Party Congress last year stressed those difficulties and challenges while also acknowledging the essential and important contributions of the non-state sector for the Cuban economy. Finally the study confirms the need for the U.S. to support the further development and success of this sector by continuing and enhancing the U.S. normalizing of relations with Cuba, especially the enabling of U.S. remittances to those on the island and thereby constituting a major source of capital for this sector. This very point has been emphasized by Engage Cuba, a U.S. coalition, in its lobbying of the new Trump Administration. Gámez-Torres, Cuban entrepreneurs dream big, but the government gets in their way, Miami Herald (Jan. 26, 2017). U.S. and Cuba’s Efforts To Continue Normalization, dwkcommentaries.com (Dec. 9, 2016); Lobbying the Incoming Trump Administration To Continue Normalization with Cuba, dwkcommentaries.com (Jan. 18, 2017); Engage Cuba.